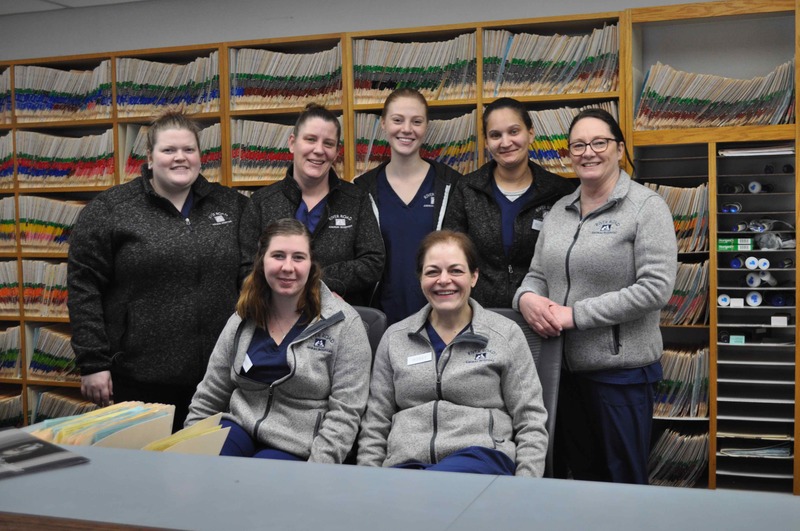 Meet the Veterinarians of River Road Animal Hospital in Puyallup! We’re pleased to provide exceptional vet care for your pets! Please call us at (253) 845-7525 to speak to one of our caring veterinary staff members! The owner of River Road Animal Hospital, Dr. Lamb received his veterinary degree from Colorado State University in 1986. With a diverse background in large and small animal medicine, he finds particular interest in orthopedics and diseases of the skin. When not busy with his patients, Dr. Lamb takes care of his own animals: the cats – Buzz and Mattie; Cracker and Callie, the horses; six Angus cows; and a bull. He also enjoys beekeeping. Dr. Marvig arrived at River Road Animal Hospital in 1998 following a one year internship at Rowley Memorial Animal Hospital. He earned his veterinary degree from the University of Wisconsin in 1991. Both at home and at work Dr. Marvig enjoys the company of his chocolate Lab. Dr. Hedman joined River Road Animal Hospital directly from Washington State University, where she received her degree in 2004. Her special interests include behavior medicine/training, internal medicine, and oncology. Outside of work, Dr. Hedman enjoys spending time with her dogs, hiking, as well as training and competing in agility and obedience. Born and raised in Chicago, Dr Schairer graduated in 2003 from the University of Illinois-GO ILLINI!! After many years of trying to move west, she finally left Illinois in 2015. Since granduating, she finds herself drawn more to the internal medicine side and enjoys all sorts of animals, including the zoo she has at home. She and her husband, Adam, have four dogs, some cats and many other pets they care for.